Home > 2-minute reads > Emergency Fund – a necessity for bad times? Life is dynamic and you don’t really know what may happen tomorrow. If you think this article is not for you and you would not need the emergency fund, think twice. Irrespective of your financial preparedness, life has a way of throwing curve balls that you never expect. These “unexpected expenses” are the reason why it is suggested to have a liquid emergency fund. What is the use of emergency fund? Sudden job loss – With rising automation, if your employer decides to discontinue your service, it would take time to get a new opportunity. Thus, with an emergency fund, your living expenses can be taken care of. Mishap which makes you bed-ridden – God forbid if any mishap happens and you are bed-ridden, it gets difficult. While your medical bills can be taken care of insurance, your family living expenses need a plan B. This is where an emergency fund helps. Usually, it is advised that an emergency fund should be able to cover three to six months of complete living expenses such as rent, food, EMIs, etc. Alternatively, you can compute your requirement of an emergency fund and your plan to achieve the same using ORO Emergency Calculator. Where to invest these funds? Emergency funds should not be invested in instruments that are risky or volatile such as the stock market. These funds need to be invested in safe instruments such as fixed income securities. In case of any unplanned event such as a layoff or increased medical expense, etc., low risk and highly liquid instruments ensures that you can tackle your situation with the help of emergency funds. Thus, emergency funds serve as a safety net and thus it is advisable to park emergency fund in a savings account, fixed deposits or liquid funds that invest in money market instruments. Aside from financial stability, there are other pros to having an emergency reserve of cash. Keeps stress level down – When life presents emergency, getting stressed is obvious. If you do not have an emergency fund it indicates you are living on the financial edge. Thus it is important that you are prepared for bad times so that you are confident to tackle any unexpected event that life may give you. 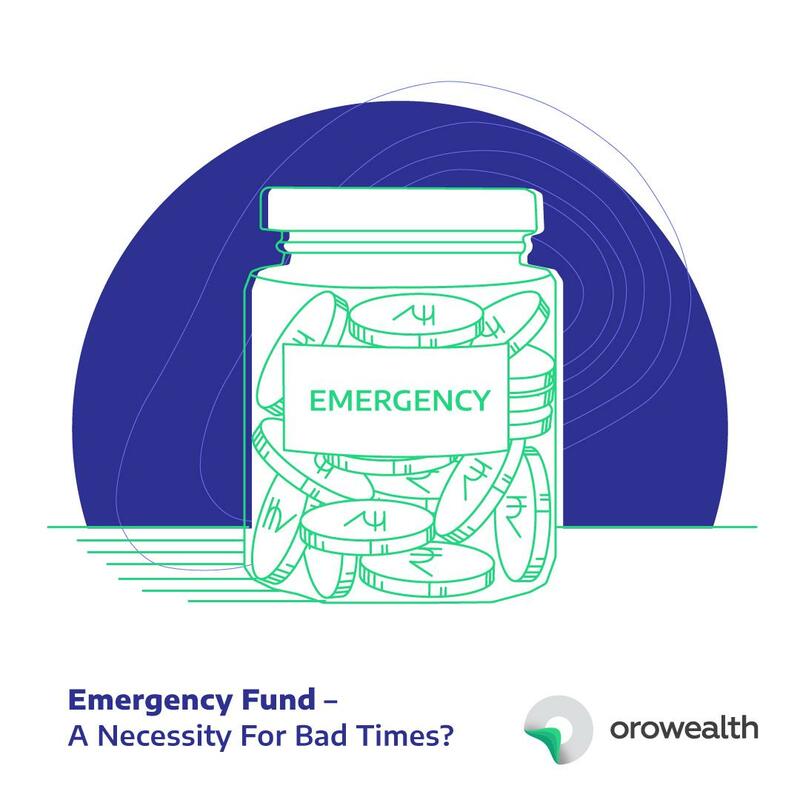 Keeps you from spending on a whim – You should park your emergency fund in other instruments and ideally not in savings a/c as you may be tempted to use it for something frivolous. If you park the funds in a separate account, you’ll know exactly how much you have saved for an emergency. Keeps you from making bad financial decisions – You can always get access to cash by borrowing but it comes with a cost typically that is higher from the market rate. Thus, it is advisable that you ensure your financial decisions are good.